MALAKAL, South Sudan – Life is harsh in the northern city of Malakal. Once a vibrant commercial hub, it is now essentially a ghost town, its residents crammed into a protection camp on the city’s outskirts. Even there, safety is not assured. In February, the camp was convulsed by fresh violence, forcing thousands to flee. Yet traditional attitudes still dictate that women avoid family planning – not in spite of the hardship and hostilities, but because of it. 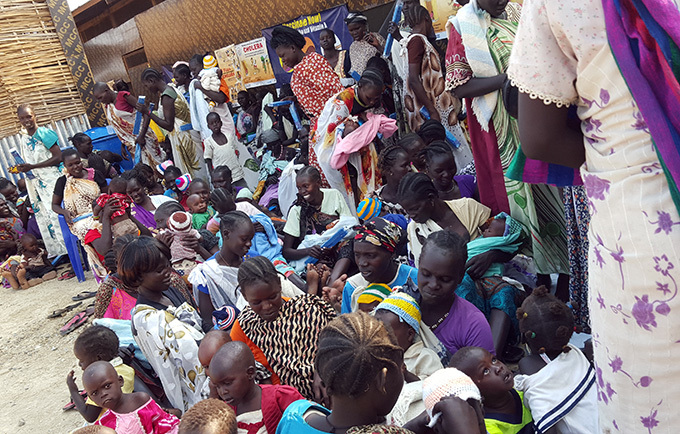 It is often said that South Sudanese women should have more children to make up for those lost during the decades of conflicts that have plagued this new nation. 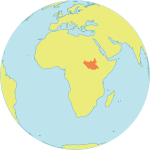 According to South Sudan’s 2010 Household Survey, only about 1 per cent of women in a marriage or union are using modern contraception. Other sources say the rate is about 3 per cent. By contrast, in developed countries, the prevalence of modern contraceptives is greater than 60 per cent. But some women are defying these norms. Surrounded by so much uncertainty, they are determined to have pregnancy and family size be a matter of choice. 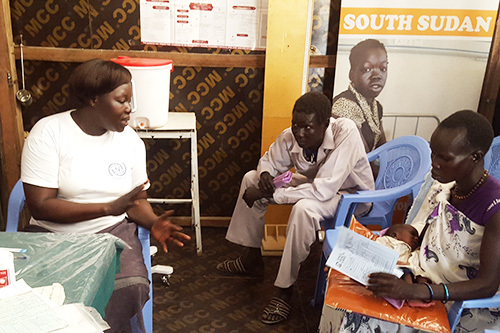 For Mary*, a 21-year-old mother of two living in the Malakal protection camp, the conflict gripping her country is the very reason she chooses to use family planning. “I want to wait for more than five years before I get pregnant again,” she told a health worker at a UNFPA-supported health clinic in June. “My sister lost her 2-year-old son. He was trampled by people during the February conflict,” she said, clutching her 10-month-old baby. Mary added that her husband has difficulty supporting their family, and she fears she will be left alone to care for their children if the crisis intensifies. Through UNFPA’s reproductive health supplies programme, a variety of contraceptives have been provided to health facilities in crisis-affected areas. Since the outbreak of violence in 2013, over 2,300 women in Malakal have elected to use modern family planning methods. And this number is increasing quickly. Since January, 1,300 women in the camp have opted for modern family planning. The health worker outlined the family planning options available, and Mary decided to go for a long-acting contraceptive implant. In particular, she liked that it is discreet. Women are typically expected to seek permission from their husbands to use family planning, but Mary did not think her husband would be supportive. “By the time my husband starts asking why I am not conceiving, we may be beyond this crisis. When the time is right, I will have it removed and conceive,” she said. Many women find themselves in Mary’s position, with husbands who are not open to contraceptives. 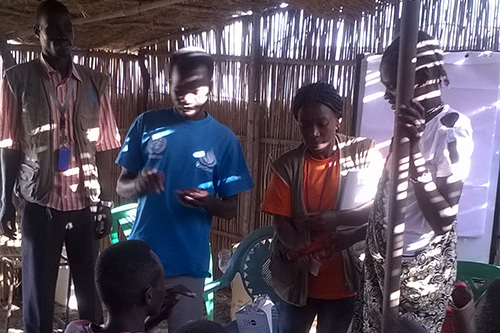 But UNFPA is working with partners in the camp to help men understand the benefits of family planning. They are also encouraging men to accompany their wives to clinics, where they can learn more. “Our experience shows men are only a barrier when they don’t have the full picture,” said midwife Patronilla Munasi. She was deployed to the camp through a Canadian-backed UNFPA midwifery project. UNFPA is also supporting the training of peer educators, who are reaching out to young people with information about sexual and reproductive health, including family planning. UNFPA, with UNICEF and the International Organization for Migration, is also organizing groups for breastfeeding mothers. At these bi-weekly sessions, women can socialize and also learn about sexual and reproductive health, nutrition, hygiene and sanitation, and about available health services and support. There are currently two breastfeeding groups with over 100 participants in each.